A sleeping wedge is not only used to keep babies safely propped up in their cots to prevent suffocation, and to provide support for their newly developed, delicate bodies, adults also use sleeping wedges for a variety of reasons. If you are looking for a pure comfort memory foam pillow that is a sleeping wedge, then a great option to have a look at is the Remedy Natural Pedic Folding Wedge Memory Foam Pillow. This is not your everyday memory foam pillow; it is unique in its functionality as well as its features, separating it from contour memory pillows and standard sleeping pillows purchased at any bedding store. The polyurethane memory foam keeps its shape, and with a medium firmness you can be rest assured that you will be comfortable throughout the night. This pillow is easy to clean because it has a removable outer cover. The cover is also easy to take off of the memory foam wedge and put back on since the cover is zippered. The zippered cover also means that your inner memory foam is kept in place and won’t slide out because it is securely held in place and out of sight, making this pillow more visually appealing. It helps to alleviate snoring and other breathing problems. The design of this wedge pillow elevates your head; this helps to keep your airways of your esophagus open, thus alleviating most breathing problems, mild heartburn, acid reflux, and many other medical issues. It is also a useful accessory with a sleep apnea machine. Another great health benefit of this memory foam wedge pillow is that it can help aid the process of digestion because it correctly positions your body while sleeping; this results in a more peaceful sleep. The wedge design of this pillow also helps to keep your body comfortably propped up, which is especially useful when reading, watching television or just relaxing in bed. It unfolds to a full size body pillow wedge, meaning your entire body is supported, helping alleviate many aches and pains associated with an incorrect sleeping posture. You are also able to receive the full support of the wedge whether you sleep on your back or on your side. 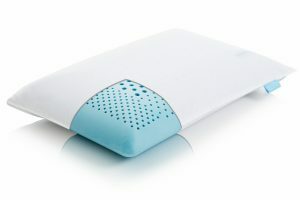 Many people suffer from allergies, and this foam pillow wedge is hypoallergenic, a must for these people. 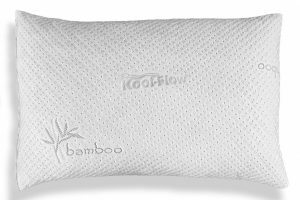 It is easy to travel with this pillow since it can fold neatly into a smaller, travel size. You can take it anywhere with you, even on holiday. Its medium level of firmness makes it not too soft (which could compromise its support functionality) and it is also not too hard (so you do not feel as though you are sleeping on a concrete slab). It is only available in an off-white color, which means that any marks or stains are easily visible. For those who are décor and color conscious, they may find themselves putting this pillow away daily should the color clash with that of the rest of the bedroom. 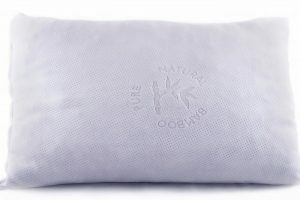 The outer cover is made from polyester and cotton, but it would be great if it was made from 100% combed cotton which would make the outer pillow feel softer. If a higher thread, all cotton was used, then the material would have more breathability, and your body would be kept a lot cooler during the hot summer months. Should something be spilled on this pillow and it goes right through the outer cover then it is difficult to clean the inner memory foam; it can only be wiped by spot cleaning. It would be a preferred option if a protective cover was included over the foam, under the outer covering, so as to better protect the memory foam. The pillow seems to have a slight odor to it—perhaps it’s just the smell of the polyurethane memory foam, but initially it is not very pleasant. In comparison to some of the other memory foam pillow wedges that are available on the market, the Remedy Natural Pedic Folding Wedge Memory Foam Pillow is priced well, which makes it an affordable choice. There is another Remedy memory foam wedge pillow that is available on the market; it is less expensive for those with a tighter budget. However, the cheaper price is at the sacrifice of the wedge pillow being smaller; it only supports the upper body and head, whereas the Remedy Natural Pedic Folding Wedge Memory Foam Pillow supports your entire body. 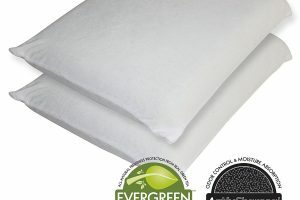 You get what you pay for, and overall this is a great pillow to purchase and it is functional in all aspects of what its purpose is, however, if you have a slightly larger budget, you can surpass the cons of this memory foam wedge pillow and buy a more expensive one that has a softer, breathable outer cover. However, the cons are really not all that bad, especially when you are getting a full body wedge for a great price, one that will alleviate any snoring, breathing, and acid reflux problems while still offering you a comfortable and supported night’s sleep. 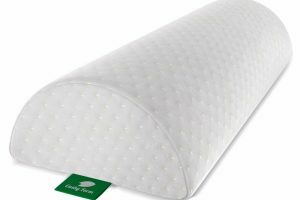 The Remedy Natural Pedic Folding Wedge Memory Foam Pillow is definitely one to consider if you are shopping for a sleeping wedge pillow, and it certainly has many satisfied customers supporting it. It currently has 4 out of 5 stars with 72% four star or higher and only 4% with 1 star reviews online.